For couples or Groups to 14, this house can serve everyone. Named ‘Kona Dolphin House’ it is close to the beaches where you can swim near Spinner Dolphins. It is truly a one of a kind Big Island view overlooking majestic Kealakekua Bay, the City of Refuge and 40 coastline miles. The high open beamed vaulted living area shares the kitchen, dining, living room and home theater all in one completely open area and connects though a 40’ wide opening to the Lanai. This great room is the setting for sharing good times. Just a twenty minute drive from Kailua-Kona and Keauhou in the village of Capitan Cook, this is the place to come to beat the crowds and congestion of Kailua-Kona. Here at one-thousand-two-hundred feet elevation you will enjoy the perfect climate in Hawaii. Suitable for the very young and older guests the single story perfectly flat level main house has two master suites both with stunning views and feature California king beds. There is a large spa on one of the master suite lanai's. The third bedroom has two California kings. There is an optionally priced 1 bedroom 1 bath Attached Guest House (called ‘Ohana’) which sleeps 6. The Ohana is the best thing that ever happened to a vacation with children (young or older)! Their own 'Surf's Up' sanctuary, includes its very own kitchen, living area with TV/Cable/Internet and full bath. This home built in 2002 is furnished with solid Tropical Mahogany and Teak furniture from Thailand and was completed with professional interior design throughout. Fully appointed with every luxury you can imagine. It would be hard to improve upon! You can actually watch Whales and Dolphins from the large covered Lanai. Kealakekua Bay is world renowned for its spinner dolphin population, as they jump into the air they spin! Watch fishing boats and other boats from a bird's eye view. - Bedroom 1: 1 king, Large Luxury Master Suite, hot tub on this deck. - Bedroom 2: 1 king, 2nd large luxury master suite. - The 4th bedroom is in the guest house, King size beds (1), Queen size Beds (1), Twin or Single Beds (1), Baby Cribs (2) Available for main house or Guest house., Sleep Sofa or Futons (1) Double Futon in Guest House Living Room. - 3000 square foot, completely open, single-story main house includes 3 bedrooms and 3 baths. Two master suites (all with stunning views) feature California king beds and third bedroom with two California kings. 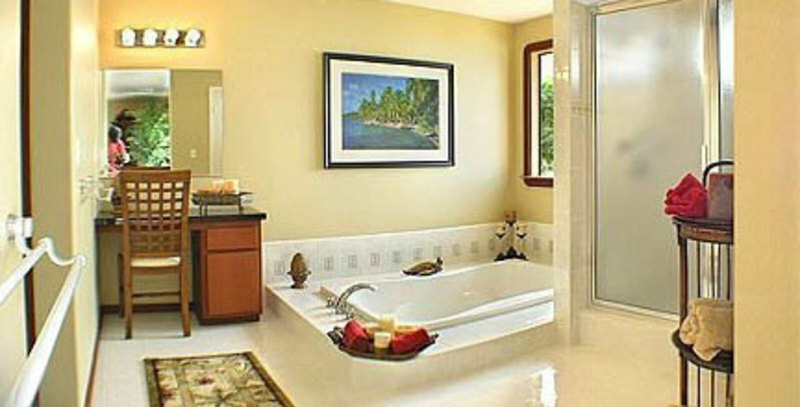 A large spa on one of the master suite lanais completes the best of the best. May rent main house separate from guest house (see pricing page). - 800 square ft. attached guest house with 2 single beds, 1 queen bed and 1 double bed, kitchen, living area, and full bath. - 3 year new house, is newly furnished complete with professional interior design throughout. Fully appointed with every luxury you can imagine. It would be hard to improve upon! - 1 acre private estate in quiet location. - Over 180 degree panoramic ocean view. Forty coastline miles plus Kealakekua Bay and the Famous City of Refuge (just minutes away). - Gourmet kitchen with only the finest craftsmanship, custom-made cabinetry, and granite finishes throughout. Kitchen opens up to the view. Indoor table seating for 14, with those same views in front of you. Step four feet outside onto the huge lanai (800 square feet plus) that is also fully-equipped with chaise lounge chairs, plenty of outdoor seating for 14 to enjoy dinners together and probably the best barbecue you have ever experienced. Every detail meticulously thought out for your complete relaxation and enjoyment! - Just twenty minutes from Kailua-Kona and Keauhou. - From large covered lanai, you can actually watch Whales and Dolphins on Kealakekua Bay, which is world renowned for its dolphin population. Watch fishing boats and other boats from a bird's eye view. - 1200 ft. elevation, enjoy the perfect climate in Hawaii without the need for air conditioning. - Large open beam floor plan, Fanimation Fans, and inspiring architecture. - 55 Inch High Definition LCD TV, with HD Premium Cable channels, and home theatre sound system. - DVD library with Disney for children. - Games: Wii, PS1, PS2, Nintendo 64, X box, video games and board games. - Complete Computer, color printer with wireless high speed cable Internet with roadrunner e-mail service. - Beach items: beach towels, mats. = One mile to Historic Captain Cook, grocery stores, shopping center, hospital and dining. - Kayaking with easy launching and Hawaii's absolute best snorkeling at Kealakekua Bay and City of Refuge. The ultimate Big Island playground is at your feet to enjoy! - Amenities: Phone, Cable TV, VCR, Stereo, CD Player, Full Kitchen, Microwave, Dishwasher, Refrigerator, Ice Maker, Cooking utensils provided, Linens provided, Washer, Dryer, Jetted Tub in Bath, Private Hot Tub, Garage, Covered Parking, Gas Grill (BBQ), High speed Internet. natures air conditioning, No Smoking. 50% deposit due at time of booking, balance, plus $500 refundable damage deposit, due 90 days prior to arrival. Hawaii Sales Tax of 14.4166% on the rental portion only. "My husband & I spent 2 incredible weeks at Kona Dolphin House. The first week with our daughter, the second with two other couples. (With a max of 6 people, we didn't rent the ohana since we didn't need it.) Once we walked through the great room onto the covered lanai, we were hard-pressed to leave. The highlight of our days were breakfasts and sunsets on that lanai. The views are incredible…from the lanai, the dining room, the living room, even the kitchen. I'm pretty sure the kitchen has every appliance you'll need. Coffee grinder and maker, 4-slice toaster, toaster oven, microwave, double oven, blender, food processor, and things I didn't recognize. Plenty of glasses, utensils, plates, bowls and cups. Sharp knives for all that delicious fresh fruit you'll pick up at the farmer's market, and an excellent pineapple peeler/corer/slicer. We had enough room for four people to work without bumping into each other. The pantry and fridge contain food items left by previous guests, so you might want to check it out before doing any heavy duty grocery shopping. The master suites are sooo comfortable. Plenty of towels, a hair dryer in each master bath, as well as a make-up mirror. Huge closets. The first master suite shower is spacious with shower heads at both ends and on the ceiling. Each master suite has its own lanai. One has a hot tub. The other has lounge chairs. 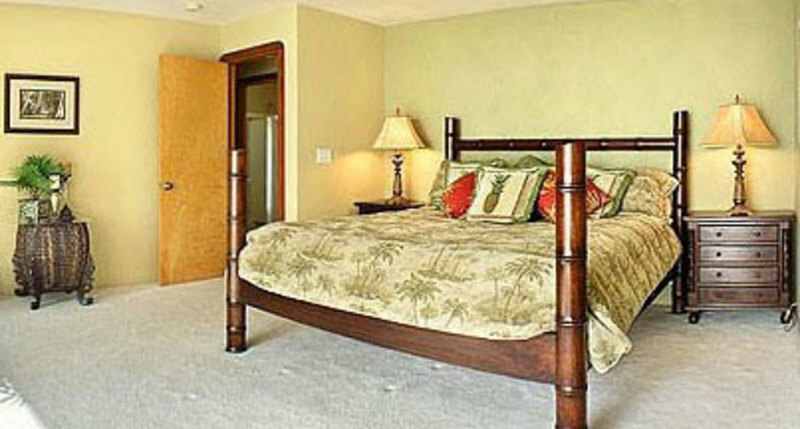 The guest room is large; the closet is not as big as the masters but still has plenty of room. The bath for the guest is across the hall, so each of our couples had their own bedroom and bath. Lots of heavy duty beach towels, nice beach chairs with shoulder straps and drink holders; at least one had an insulated storage pocket. A selection of ice chests and flashlights (for the trip to see the lava flow if you can drag yourself from the house). Snorkeling gear. An overflow fridge in the garage. The den has three couches that are comfortable for all to sit around and talk. Beautiful grounds with lemon trees and lilikoi vines. The plants and trees around the house shield you from the neighbors so you feel like you are on your own island. Dan greeted us upon arrival, gave us a tour, made restaurant and touring recommendations, & made us feel welcome. He quickly responded to questions during our stay. Very helpful! I'd been lusting after this house since 2010. As enticing as the photos are, the reality is even better. Our first visit, but it won't be our last. January 2017." "Best VR ever. House is up on a hillside about a thousand feet above sea level looking down on the blue Pacific , Kealakekua Bay, and Honaunau. What makes that unique is afternoons at the house are not hot and sticky and nights are so quiet. The only sound we heard was frogs (I think) which made falling asleep so comfortable with the cool night air. The pictures of the house does not do justice: kitchen is fully loaded with pots, pans, utensils, plates, glasses, cups, etc. --Maybe enough for 15 people or more. Bedrooms are perfectly clean and well furnished. After landing on the Big Island we picked up live Island Abalones, oysters, lobsters, Kona Kanpachi and more, we all feasted like kings and queens. What made that possible was "THE LANAI" and the sunset that provided live shows. Not only I would recommend this VR, when vacationing on the Big Island, I would stay at this 5 STARS VR again." "Family reunion. Meeting our "Aussie" relatives half way in Hawaii for a family reunion brought us to Kona Dolphin House. Six active seniors enjoyed the gourmet kitchen with everything one needs to make marvellous meals to enjoy on the beautiful lanai. 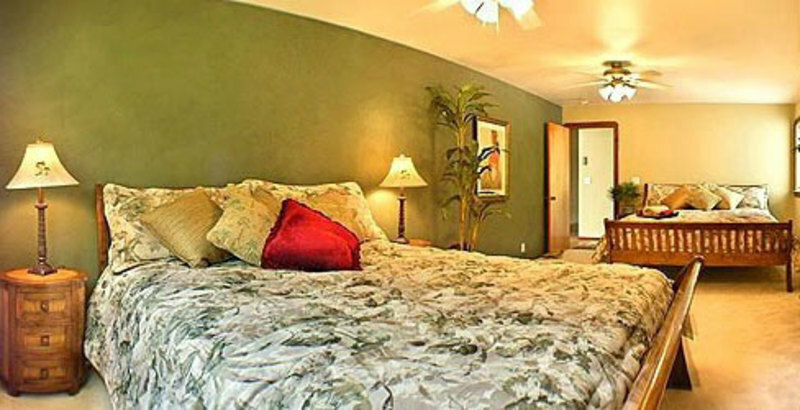 The house is spacious and in a quiet neighbourhood away from the Kona tourist area. The local Captain Cook shopping area provided everything we needed. It was easy traveling to beaches, the volcano, etc using beach chairs,ice coolers,umbrellas and towels provided. The house and grounds were immaculate, the local manager attentive without being intrusive.the views from the lanai all thru the day were unforgettable. Stayed: October 2015"
"Best holiday in a long, long time. We had an absolutely incredible time at the Kona Dolphin house. The house is in perfect condition, very spacious, with amazing views over the coastline from a stunning deck. There was a nice detached apartment above the garage that was perfect for us with our little baby, to have a little bit of space, while the rest of the extended family stayed in the main house. The location was perfect -- only 15 minutes down to perhaps the best snorkeling in Hawaii -- not to mention 5 mins to the grocery store and a good base from which to visit the volcano or various spots on the west coast on day trips. The gardener gave us a tour of the amazing garden and gave us fresh pineapple, mango, and coconuts. The owner also provided a list of incredibly helpful local recommendations. The place was spotless and had everything we needed. We can't say enough good things about it! Everyone came home relaxed, rejuvenated and happy. Stayed: August 2015"
"Luxury in Paradise. The Dolphin house took our breath away at first sight. Our group of 14 fit comfortably with the main house and guest house. The grounds are immaculate, the house is perfect, but the view is unforgettable. The drive into Kona was not bad, and definitely worth the cooler evening temperatures. The small shops in town were great and the nearby grocery store very convenient. A great home base if you plan on traveling to the many activities around the island. Would definitely stay at the Dolphin House again! Stayed: June 2015"
"Rented this home for a family reunion vacation that included 12 family members plus a 3 month old. The layout was perfect giving the parents & baby a master bedroom on one side of the house while the other members used the guest house bedroom, the other master bedroom & another bedroom which slept 4. Because of the layout, the baby only woke the parents during the night. We could have added at least 2 more guests before someone would have had to sleep on air mattresses which the owner would/could provide. We had plenty of space to move around the common areas (kitchen/livingroom/entertainment area/lanai) which was our main reason for renting this house. Heard no complaints from anyone regarding the availability of hot water for showers with this big group. Loved the scenic views from the lanai at dinner time and also in the morning. Loved the breeze that came through the doors leading out to the Lanai. Plenty of bath towels and etc, & plenty of beach towels for everyone to use during our stay. The high quality kitchen supplies (smaller appliances/plates/dishes/silverware and etc) were plentiful so that we would have only had to run the dishwasher twice a day but the dishwasher had to be used in shifts to handled the amount of dishes used by the group. We had a little issue with the food disposal (our fault) & the safe (not our fault). Both times the property manager responded quickly & fixed the issue. He was very cordial & helpful giving tips of good places to eat, little known scenic by-passes & excursions. The helpful "tip packet" given by the home owner was also very valuable. Homeowner was prompt & easy to deal with. Location was excellent. We felt the location was great for getting to all the areas on the Kona side of the island and it also allowed us to drive a doable 1 1/2 hours to the Volcano National Park on the Hilo side. The parking area by the garages was roomy enough to hold 3 rental vehicles (2 midsize and an extended van) plus a motorcycle. I most warn people, the first time going up and down the driveway was a little scary. It's a great place for walking for exercise!! If I have to say something negative - the dogs next door barked a little - never during the night & never for extended periods of time. Just interrupted the peace & quiet now & then. We learned after the 2nd occurrence that after showing in the guest house, make sure to keep the bathroom door closed or the steam will set of the smoke detector. Stayed: November 2014"
"Celebrity status house on Big Island The house exceeded our expectations on a few fronts: The view from the top of Kona is breathtaking. It appears that the house is well known among the locals because of that. Expect to be recognized as the Dolphin Kona houseguests throughout Kona community The main house it is in excellent shape; the floor plan is contemporary, beautiful, spacious, comfortable - 13 of use never felt crowded or constrained - whether congregating, having a dinner, or just relaxing all over the place. The kitchen is fully stocked with anything you might need for cooking and eating. Between the two buildings comprising the property the sleeping arrangements were completely adequate, and this is an understatement, for all 13 of us. There is abundance of linens, bath towels, and beach towels. Everything, including all appliances and electronics - was in perfect order. All baths, hot tub, fridge, washer/dryer, microwave, coffee maker - you name it, we had no problem with it whatsoever. Dan The Man(ager) of the property is very attentive, personable, and is in a stand-by mode at all times to address any of the inconveniences or concerns you might have. Mobile connection might be spotty, although Verizon customers amongst us did not experience any problems. WiFi works quite well, we did not register any interruptions. Overall - kudos to the owner and Property Manager for maintaining the house in perfect welcoming order. Stayed: August 2014"
"A little piece of paradise Our family had a wedding - my niece's - at the Fairmont Orchid, but we didn't want to stay in the hotel/resort for two weeks (the bride and groom did stay at the Fairmont and they liked it, though). We went back and forth about renting a house near the ocean or up on the mountains and, after reviewing lots of houses, we settled on the Dolphin House and it turned out to be a fantastic experience for all of us. FYI, the house sits on the hill and, therefore, it is much cooler than those in the coastal area; the weather can get pretty hot and humid, as you can imagine. One downside, at least initially, was that the house is located in the Captain Cook area and it took us about an hour to get to Fairmont since there is only one road and the speed limit is usually 35-45 mph. However, if you are like us, who don't like to be surrounded with tourists all the time in a resort environment and who want to spend a good chunk of time with people you love in a more tranquil setting, then this is the house for you. The Dolphin House is close to many attractions including the Honaunau Bay (Two Steps) and Laʻaloa Bay (the Magic Sand beach). It is also easy to get to the Punaluu Black Sand Beach and Hawaii Volcanoes National Park from the house. But the best part of the house is the amazing view! When you open the Lanai doors in the early morning and sit down with a cup of coffee, you cannot help but appreciate the scenery and enjoy the beauty of the Big Island, including a couple of tiny geckos that are bound to be around. :-) Also, the manager of the house (Mahalo, Danny!) was very friendly and gave us lots of suggestions on things to do. Some tips for future travelers: 'Da Poke Shack' is a must do! CostCo also offers several different poke combinations and sashimi plates (very fresh!!!). Plus, we loved awesome malasadas from the Choice Mart (a nearby local supermarket). And Aloha Guava drinks are great, too. Also, if you are visiting the Volcano National Park and looking for a place to eat for a large family, I recommend you to check out Kilauea Volcano Military Camp's dining hall, instead of Volcano House/Uncle George's Lounge. In short, I finally understood why my niece makes a trip to Hawaii every year and would love to do the same in the future, and if I'm on the Big Island, I'll definitely try to book the Dolphin House again. Aloha! :-) Stayed: July 2014"
"Agriculture and Food Group Tour The house was AWESOME! This is the fifth vacation home rental I've used on the Big Island, and it was by far the best. The kitchen was so well equipped, and was perfect for our group dinners. There was plenty of space for our group of twelve to gather and sit comfortably both inside and out on the lanai. The views from the lanai were spectacular and invited many hours of relaxation. The location could not have been better for us - close to many of our activities and venues including the Greenwell Ethnobotany garden, Kona coffee co-op, Captain Cook monument, the Place of Refuge National park, Two-step beach, Living Coffee History Farm, plus activities in Kailua-Kona were just ~20 minutes away. We were out and about exploring most days and it was terrific to return to such a comfortable and quiet home each evening. Also very close to local food - Da Poke Shack, Super J's Lau Lau, The Coffee Shack... and more! Stayed: May 2014"
"Stunning house in an excellent location We thoroughly enjoyed our stay. It seems like it would have been a squeeze for more people, but it worked well for us and there were 14 of us! The house and grounds are in immaculate condition. The pictures (as gorgeous as they are) don't do it justice! Stayed: October 2013"
"THE BEST VACATION RENTAL EVER We rented for the week so that I could race the Ironman in Kailua Kona. The house is about 12 miles away from the race site which was far enough from all the hustle and bustle but close enough to drive withing 30 minutes. Our experience in Kona was the best ever. For us and especially for our moms loved the house so much they didn't want to leave. The view from the lenai was breathtaking. We opened the wall to wall doors every morning to enjoy breakfast overlooking the bay. It was like opening a gift every morning! The house was roomy for 4 adults and 2 kids to run around. It could of easily handled another family of 4. The owners/property management company were really easy to work with and answered any questions we had. Thanks Dolphin House for being part of an experience of a lifetime for our family! Stayed: October 2013"
"Family Vacation/Wedding Our family really enjoyed our time at the Dolphin House! Everything was so convienient and comfortable. Also, the view alone was reason to book this house!! We were traveling with children and had a few special requests that were answered and dealt with in a very polite and timely fashion. This rental house and the people we communicated with get an A+. Stayed: September 2013"
"If I tell you how great this house is, I may never get to stay here again! I'm torn. But I have to be honest: we LOVE this house! Our multigenerational family of 8 has stayed here three times, and it's a pleasure. Doug and Danny make sure everything is in good working order, and all of the accoutrements are of higher quality than one usually sees in a rental. Seriously — sharp knives! And a great Weber gas grill. There is plenty of room for togetherness or privacy, and the Ohana really adds to the flexibility. The lanai is amazing! I really can't recommend this house highly enough. There I've said it. So I better get next year reserved before you book it... Stayed: July 2013"
"Family vacation on the Big Island? Kona Dolphin House is where you want to be. 10 of us gathered from age 1 to 63 in the Main House and Guest House of the Kona Dolphin House. It was as perfect as a rental can get. The house is gorgeous, spectacularly sited, and very conveniently located. It's also well serviced by a maintenance guy who is 2 minutes away, a personable gardener, and an owner who actually gives a dam about the quality of his guest's experience. We put one family with a 1,4 and 6 year old in the guest house. The other in the 2nd Master bedroom and the 3rd bedroom. We retained the other Master with the state of the art triple shower with side jets and hot tub. It wasn't long at all before we were forced to share those but that was part of the fun. Our family (like most perhaps) gets along well for short holidays etc. but a week of living together could have been taxing. Given the space and design of Kona Dolphin House everyone felt like they had their own space and corners of the shared space when they wanted less togetherness but the house really shines when you do want to gather. The outdoor lanai and indoor dining table easily handled 10 places and the kitchen was designed and equipped to handle that number (or more). My wife and I spent a couple days before the family arrived and while the house felt a bit big it wasn't overwhelming. It shrunk considerably when the family arrived but managed to always feel just about right. I'm a bit of a design snob and really dislike houses that look good but don't work. This house works. The parking, the folding doors to the lanai, the shower hot-tub combo, the closets, the appliances all work the way they're supposed to and if they don't the support staff are right on it. Everyone from the owner to the gardener did things way above and beyond to make sure our vacation was as perfect as possible. If you don't know this side of the Big Island the biggest surprise is how convenient the house is. You're far away from all the noise and clamor but 5 minutes to a terrific grocery, an amazing bakery, numerous local fruit/veg vendors, and the best shaved ice on the Island. In no time at all you feel like you are living there and not just visiting the place. It was so nice to go North to the beaches of Kahala or the mayhem of Alii Drive and then retreat home to Captain Cook. Access to the local beaches for swimming and snorkeling is easy and trips to anywhere else no problem at all. All of this for less pp than a cramped condo or cheap hotel. What's not to love? Stayed: March 2013"
"Wedding In Paradise I stayed at the Kona Dolphin House with my extended family to attend the wedding of our nephew. Even the great photos on the website don't do justice to this property. It is beautiful from every angle and the view from the lanai is unequalled on the big island. The unit was spotless and stocked with top-of-the-line appliances that worked properly. The owner responded quickly to our reservation request (unlike another unit that we had inquired about earlier) and made the process very easy. We had most meals at the house and shopped locally at the farmers markets for produce and Costco for other staples. We did eat at Annie's Burgers a couple of times and they were excellent. We saw humpback whales from the lanai as they were in Kealakekua Bay and snorkeled several times at Two-Step Beach with the turtles. Several of our party also took Blue Hawaiian Helicopters out of Hilo to see the volcano and waterfalls. The location is great for most island attractions and at the elevation there was always a cool breeze when we returned home. The beach equipment in the garage was all we needed for our snorkeling trips and the coolers, ice and water in the refrigerator there was a nice added perk. I also recommend Captain Dan's for a whale watching excursion. He knows where the whales are and went out of his way to make sure everyone on the boat had a perfect view of them. We also saw humpbacks from the end of the "Chain Of Craters" road at Volcano National Park. Everyone in our party agreed that we would try to get this property again when we have our next family reunion/event in Hawaii. Also Doug recommended a car rental agency that worked out perfectly for our group. Our cleaning deposit was quickly refunded after we left and the local property manager was accessible and responsive to our questions. All things considered, this was, without a doubt, the best vacation rental we have had on the big island. Stayed: March 2013"
"4 couples from Canada on a Hawaiin vacation This was an amazing house. There's really nothing more that can be said that hasn't been noted in previous reviews. it had everything we needed and more .... and that deck with its amazing views! It was a cinch to cook great suppers in that marvelous kitchen. We all stayed in for suppers and sipped wine and talked for hours every night. It was such a relaxing vacation .... we would stay there again in a heartbeat! Stayed: February 2013"
"Great House and Guest House We had nine adults in our group. Five other friends stayed at another location. We absolutely loved staying at the Kona Dolphin House. As other reviews stated, we just couldn’t get enough of the view from the lanai. Every day started and ended enjoying the remarkable view! Several of our group played eight of the island's golf courses-Big Island CC, Makalei Golf Club, Waikoloa Beach and Kings Courses, Mauna Kea, Hapuna Prince, and Mauna Lani North and South. (We were excited to see whales from several holes.) These courses were an average of a 60 minute drive. We had pre-arranged tee times at all courses and were able to use a discount card at most. The rest of our group toured the Hula Daddy Coffee Plantation, enjoyed shopping at a nearby farmer's market, zip-lined, and took a trip to the Volcanoes National Park. They also put the Dolphin House beach toys to good use at several beaches. Our entire group of 14 met twice for supper at the Dolphin House. We broke in the new grill which worked great. The open floor plan was perfect for entertaining. We ate all but two meals at the house, so the well-equipped kitchen came in handy. Doug went out of his way to keep us informed. His attention to detail is second-to-none. It was also nice to have his manager (Dave) so close, just in case we needed something. To make a long story short, we returned home on a Sunday afternoon and by that evening, we were already planning our return trip. We hope the Kona Dolphin House will be available. We loved it! Stayed: January 2013"
"One pleasure of a lifetime Our family had a wonderful time at the Kona House. It was located in a quiet, beautiful location with a view of the bay that rivals those of the most expensive hotels. We found it very easy to get around especially when going snorkeling at Two Step Beach. It was so much nicer to stay out of Kona in an area that was open where you felt you were in the country. We very much enjoyed the landscaping around your beautiful home. One could just sit on the deck and stare for hours at the horizon. The home itself was spacious and well stocked with anything travelers might need that they forgot at home. The beach towels, coolers, chairs & snorkeling equipment made it easy to just get up and go to the beach. Your property manager, Dan, saw to it that any questions we asked were meaningful answered. We felt we had a friend with local knowledge. I could go on and on about your property but if someone has a large or extended family or wanted to travel with 2 or 3 couples, your house is the perfect fit; very roomy. Thanks so much - Tom Grogan & Family Stayed: January 2013"
"Unbelievable wonderful house! The Dolphin house was the best choice for us. The view from Lanai was great! We talked every day at Lanai and looked up at the moonlit night. The Dolphin house was very cooler than kailua kona. It was wonderful summer resort house. We used an outside spa every day. It was very good massage to a tired body. The massage of the spa is very good for jet lag! There was a good supermarket near there. The name is choice. Good Italian restaurant too, named Mi's. Anyway, Dolphin house is great house isn't it? We want to use your house again on the next time! Stayed: September 2012"
"A perfect week at the Kona Dolphin House My family and I spent a wonderfully relaxing week at the Kona Dolphin House. The house itself is extremely roomy, comfortable, and well appointed. I love to cook, so having a nice kitchen was a real plus. In fact, cooking meals together as a family was one of the biggest highlights of our week. We spent every morning and late afternoon on the lanai enjoying the amazing view. We enjoyed exploring various beaches, as well as spending a day in Volcano National Park. This was our first trip to the Big Island, and there is no question that having this house as our "home" for the week made our trip extra special. Doug, the owner, was exceptionally helpful and accommodating before and during our stay. We look forward to returning one day to this amazing place. Stayed: June 2012"
"Best Hawaii trip ever We had a kind of family gathering and the Kona Dolphin House was perfect for us. Clean, beautiful location, beautiful views, comfortable beds, all the amenities we needed to have a nice time. Plenty of parking space for our three rental cars. Big comfortable kitchen and huge dining area. The photos are nice, but the house is even nicer. Really a comfortable, relaxing ambiance. For us it was a great location too. Close to great snorkeling areas (ask for directions to Two Step and Captain Cook), kayak rentals, and coffee plantations (Greenwell plantation tour was great). Danny, the property manager was very helpful and readily available. Stayed: September 2012"
"Dolphin house the view was great house was very comfortable and well maintained their we're 13. In our party and don't think anyone felt cramped at any time very nice land scape for pictures and privacy. Bedrooms need blinds. Rooster needs to be relocated. Stayed: August 2012"
"I highly recommend this property. This is a beautiful house and was perfect for our group of 12. The beds and furniture were very comfortable; such a relaxing atmosphere; very clean inside and out. The house and garage were stocked with everything we needed. The written house papers were great. I don't recall if pets are allowed. As first time visitors to Hawaii, my family and I were extremely pleased with the accommodations at Kona Dolphin House. Thank you! We bought food at Safeway and fixed some meals at the house. We enjoyed the Luau at Royal Kona Resort and the restaurants in Kona. Our divers planned everything thru Jack's Diving in Kona, they were great. Snorkeling was gorgeous at Place of Refuge. Tent area shops in Kona are nice and big variety of items and prices. We ate at local places while site-seeing, all good, sorry don't recall names; day trips to Akaka Falls, Waipai Valley, Mauna Loa Volcano and Green Sand Beach. Stayed: August 2012"
"large family vacation we had 12 adults and 1 child in this house and there was still plenty of room. the view from the lanai was incredible as family members took photos every morning and some evenings from there. everything was there that we needed and even unexpected items meaning the owner thought of everything. family members are already asking about tht next trip. thank you again for lending out your home to us. 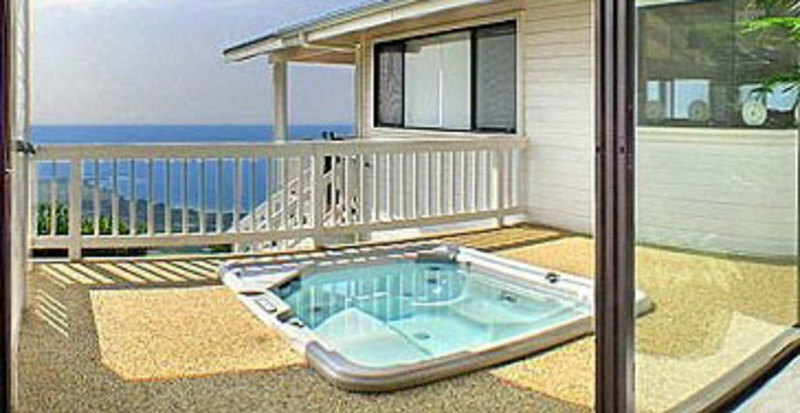 Chris, Stayed: August 2012"
"Excellent family vacation rental! This home was absolutely fabulous! This place is private, luxurious and very roomy, especially for our large family group of 14. The house is more grand than the pictures can convey. The peace and tranquility and view of the ocean on the Lanai was amazing. We enjoyed eating breakfast and some dinners on the Lanai. This really made us feel more at home and relaxed. The large bedrooms and comfortable beds are great after a long day at the beach or sight seeing! We also liked having the grocery store and restaurants near the house. The property owner was great to deal with and made the rental process so easy. Thank you for letting us enjoy your beautiful home. We will be back someday soon. Stayed: July 2012"
"Outstanding location, amazing house and awesome view. Our family, twelve in all, just stayed in this beautiful home for a week of relaxation and fun. It was truly one of our best holidays. Our group consisted of five kids (2 to 17) and 7 adults. Everyone agreed it was an amazing experience. The grand kids slept on the lanai, watched the stars and listened to the roosters and wild turkeys. They loved picking fruit in the yard and watching the sunsets. The view was outstanding. The owner was so nice to deal with, everything was so well organized, every question answered. He recommended many things to see and do, we did most of them and every one was just as he said it would be. We spent a lot of time snorkeling at Two Step Beach. One afternoon our grandchildren were standing in the water surrounded by six large turtles. Of course this is going to be one of their most valued memories of Hawaii. My grandson taught me to snorkel here. The Coffee Shack was just up the road, recommended by the owner and well worth a visit. We bought fish at the marina and cooked it at night on the exceptional bar b que. The kitchen was so well stocked, had many things I don't even have at home. We would definitely stay here again, thanks again Doug for a wonderful holiday. Stayed: March 2012"
"Beautiful Home. Amazing Views. Highly Recommended! My girlfriend and I have stayed in this property for a week. It was extremely impressive. The house was big, well designed and included every item imaginable to make our stay comfortable and enjoyable. The owner and property manager were both very helpful and responsive. We will definitely come back in the future. A++. Thank you for sharing your amazing home with us! Stayed: March 2012"
"absolutely excellent! I've stayed at this house a couple of times in the past, and I am absolutely very happy and satisfied with the house. It is amazingly gorgeous, clean, spacious, comfortable, with such a spectacular view of the ocean and the island. I really like the beautiful and gorgeous bath and the hot tub and the big lanai. I’ve stayed at many other places on the Big Island before, and this house is by far the best. And the owner is very kind and nice and I feel he has great respect to his customers. I always feel I’m well treated. I’m so grateful that I get to stay at such a nice place. Stayed: June 2011"
"Great House in Great Location Beautiful home with well appointed furnishings and kitchen. Gorgeous granite countertops, well equipped kitchen, wonderful mattresses, spacious rooms and baths, and terrific views from huge lanais overlooking ocean. Captain Cook location is excellent- not too far from airport or Kona shopping, near peaceful City of Refuge, and several antique shops and banks are just a stone's throw away in quaint nearby village. House also includes many adult toys (huge tv, wii, etc.) and family games which make evenings fun for the whole family.. House is a little far away from the best beaches which in our opinion are "Magic Sands" beach and Spencer Park beach which require a half hour to 45 minute drive. Stayed: January 2012"
"Being at elevation was soooooo nice!! We had an amazing trip! Is was nice to have the elevation, looking down on the bay and sleeping soundly in the cooler air made things so enjoyable. The highlight for sure was a kayak to captain cook monument where we were surrounded by a school of dolphins half way across the bay. One time, a dolphin just about did a flip into one of the kayak’s! Other than that, they were very close to us for a long time and the snorkel was amazing over near the monument. Thank you so much for the recommendation for the ceremony leader for the marriage as well, she was wonderful. With that, let me know if all was okay on check out or if I need to do anything else regarding the deposit? I’ll never forget that week, what a magical place. Thanks again, Hans, Stayed: May 2010"
"What a perfect place for our family vacation!!!! A great big Wow!!!! We were welcome to this beautiful home late after 9 pm Dec,.28, 2011..Our whole family was arriving to celebrate our 50th Anniversary. As we opened the front door with our 9 year old grand daughter we were invited in with the sound of beautiful music, perfect lighting, a sweet ocean breeze coming from the open windows from the veranda, and baskets of fresh fruit. All she had to say was "we are home." We all felt that way, with a great big Wow!!! From the comfortable beds, plenty of fresh linens, & towels,comfortable living area's perfect to curl up in and finish a good book to the wonderful kitchen that all of our cooks enjoy!!! it was all just perfect. The location is beautiful, private but still close to things you might want to go do. Although just staying home was pretty nice too.. Greg made sure that what ever we needed was there and was always glad to visit on the phone and answer our questions. We took the advice of the owner and enjoyed wonderful snorkeling in the bay, the Volcano Park, the black beaches near by, along with swimming with dolphins & manta rays with "Sunlight on the Water" out of Kona. We recommend them highly also. There is so much more to see on the Big Island, we just ran out of time and hope that our entire family can return soon some day. This was the perfect house and the perfect location. Thank you for sharing it with us... Stayed: December 2011"
by Dennis & Susan M.
"Our favorite family vacation house so far, and we're through looking! This is a really wonderful property: the house is spacious, beautiful and commands an incredible view. Great for our family gatherings, tastefully outfitted with space and comfort for all. We really appreciate the caliber of kitchen equipment and dining space. Why is is that places with 3 or 4 bedrooms often only provide seating for 6 and tiny pans? Not so here, with large tables inside and also on the lanai. Doug has though of just about everything you could possibly need, minimizing the need to spend your vacation time running out for this or that. Everything is immaculately clean and in good order. Sliding doors open the house to the view, and due to the elevation it is cooler and you can keep things open. Greenwell Farms down the road has the best Kona coffee, to be enjoyed on the lanai with fresh fruit. Best breakfast ever! Aloha! Stayed: July 2011"
"Love this house Had a great time staying on the Big Island in this home. This home has the most amazing views. Great home for a romantic getaway or for a large family. Lots of room and nice accomadations. All you need is food & clothing. Stayed: March 2011"
"WOW!!! This place is amazing. Have been back a couple of weeks now from our 3 week trip. Want to say we had a fabulous time and wish the entire 3 weeks had been at your house. Very nice and comfortable with well appointed furnishings; very pleasant for our family of four and definitely large enough to handle larger groups. Your pictures are only a taste of the beauty and comfort of your property. Your kitchen is so well stocked a person cannot want for much…in fact it made us consider a couple of things that we would like at our house. Had most of the comforts of home-would have liked an approx 6-7" omelet pan which helps to make a fluffier omelet, and a juicer (in fact when I suggested this Doug said he would have them for our next visit) . We picked some of the lemons off the tree below and bought some from the store to make up what we need to make homemade lemonade. My hands were sore after what seemed to take an hour of squeezing enough juice to make a gallon which requires around a quart or so of juice. Regardless, everything was wonderful. Wish the avocados were rolling down the hill like one of your previous guests wrote about. The spinner dolphins were awesome at "Two Step," a much more user friendly location and no cost in comparison to the area around Captain Cook monument. Your property manager was very gracious offering his help for any need. We forgot 4 pairs of shoes that we had not touched since we unpacked-forgot they were there-they were waiting for us when we returned to the mainland. Hands down, our favorite place and favorite island out of the 4 trips and 3 islands so far in our travels to HI. Magnificent helicopter ride over Volcano Nat. Park, great diving (include the night Manta Ray dive), snorkeling w/lots turtles and dolphins w/in minutes from your house, more to do than can be done in one week. Went sky diving on Oahu and Hangliding on Kaui, which were the only things we didn't have available on the big island. We look forward to our next trip and to the big island and our stay at your house. Stayed: June 2011"
"Kona Dolphin House - The Best of the Best The Kona Dolphin House in Captain Cook is truly beyond words. When I rented it for the first time in 2010, I was bringing a group of people for a Retreat and needed a house that could accomodate up to 14 people. The house is beautiful, spacious, equipped with the best of everything and the view is fabulous! I loved the location because we were less than a mile from a grocery store yet surrounded by lush tropical vegetation. We were only a short drive from one of three bays that are great for kayaking, swimming and snorkeling. Spinner dolphins frequent all of these bays and we saw them every day! If we wanted to go into Kona Town, it was only a 25 minute drive. Our elevation allowed for cool evenings with the fresh tropical air and no need for air conditioning, and we saw so many shooting stars from the lani in the clear night skies. We ate in some of the time, hiring a chef to prepare our dinners in the gourmet kitchen so we could stay in and enjoy the beautiful sunsets and comfortable surroundings. I would highly recommend this property for large families, several couples and especially retreats. The owner have always been very helpful. I have rented the Kona Dolphin House twice and look forward to my third time in 2012!! Mahalo...D.D. Stayed: November 2011"
"Swedish journalist The location is perfect, quiet and at the same close to beautiful areas like Kealakekua to see the dolphins and two steps for diving? The property is fresh clean and well-maintained and beautiful furnished? I would you recommend this property to my friends or relatives? Stayed: November 2011"
"Hofler Review Stunning house and location. Well maintained and wonderfully decorated. The view off the huge deck is spectacular. Overlooks the place of refuge from the ancient Hawaiians to the left and the Captain Cook monument, although not visible, is just below. Stayed: October 2009"
"Quality, well-equipped home with a FANTISTIC VIEW! There were 8 adults and 7 children in our group. This house worked very well for us. Each of the four famlies had a separate bedroom and bath. The video equipment was top notch and there was a large library of kids movies that were viewed a lot. Even in the hottest month of the year, we were comfortable as the house is at approximately 1200 feet elevation. There were boogie boards, beach chairs and towels, and many other items that were very helpful for us. We found the location to be good for us, too. We were about 1 1/2 to 2 hours from Volcano, 30 minutes to Kona, and about 45 minutes to the airport. We would stay in this house again. Stayed: July 2011"